Video courtesy of NewsSourceLA Santa Clarita Valley Sheriff’s Station deputies took a man into custody in connection with a stolen-vehicle investigation in Canyon Country on Thursday evening. 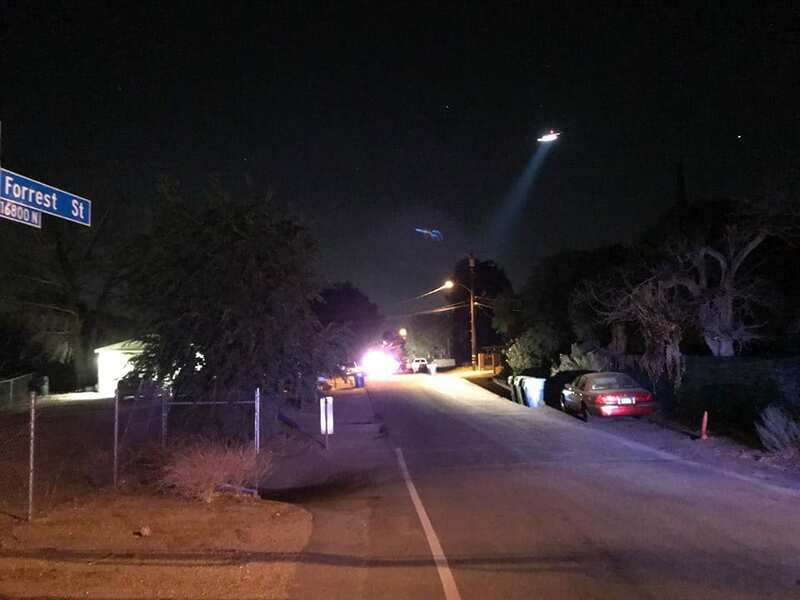 Station officials confirmed deputies received a call around 8 p.m. regarding a search for a suspect in a stolen Toyota Camry, near the intersection of Forrest Street and Fitch Avenue, one block north of Sierra Highway. Station deputies worked with California Highway Patrol officers to make the arrest, officials said. Deputies began their investigation after receiving the call, and a CHP officer monitoring the scanner heard the description of the vehicle approaching his location, in the northbound lanes of Sierra Highway, north of Soledad Canyon Road, according to Josh Greengard, spokesman of the Newhall area CHP office. “Within about a minute, the suspect passed by the officer’s location,” Greengard said. “The CHP officer then initiated a traffic stop, and the suspect then began to flee again.” Deputies and officers converged on a residence on Forrest Street the suspect had fled to, Greengard said. Witnesses reported that a helicopter unit and a K9 unit with the Sheriff’s Department was on scene. The suspect was taken into custody without incident around 8:45 p.m., confirmed Sgt. Pete Bringas of the Santa Clarita Valley Sheriff’s Station. Noone was transported from the scene for injuries, per fire officials who also staged near the incident. NewsSourceLA contributed to this report.